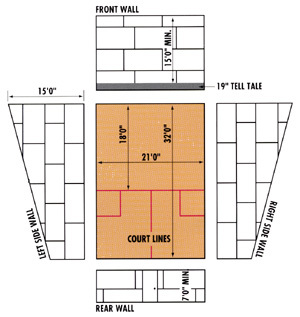 Coastal Sports Flooring offers a turnkey solution for squash court floors that incorporates all aspects and features of the court. Our full-service includes the design, materials and construction of the entire project to ensure that the squash court meets the highest standards in quality and safety. Extremely fast games such as squash need a surface with a high degree of friction.Our Squash Court Floors is a solid hardwood 33/32 thick board of first grade clear maple with a 45grit finish, which provides the high level of friction required by the sport. 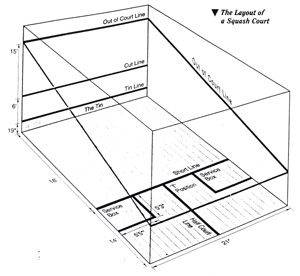 Squash Court Floors is unlike any other floor in that the surface is not a smooth finish but a coarse surface that helps provide the right amount of grip for both the ball and player. It is important to employ a specialist when renovation a squash court as the surface finish is not the same as most other sports floor coverings and requires specialist attention and knowledge to achieve the required finish.